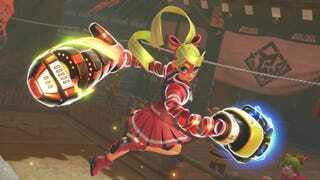 Curious to see what upcoming Nintendo punch-a-thon ARMS looks like? Curious to see what upcoming Nintendo punch-a-thon ARMS looks like? We played the first hour of the live ‘test-punch’ today on Twitch. You can watch the archived stream down below.